“Photographing what you are passionate about is essential in creating top notch imagery,” says Sheri. That is why she photographs corporate photography. Sheri’s innovative approach has earned her an excellent reputation with clients throughout Orange, Los Angeles, Inland Empire and San Diego counties. She instinctively enjoys bringing out the best in people in images and takes pride in her work. Sheri was diagnosed with Hodgkin’s Lymphoma Cancer six weeks after the birth of her first child in 1999. During her nine month struggle with cancer, Sheri reflected on her life and took this shift as an opportunity to get in touch with her interests and passions. On the top of her list was photography. She attended college courses in traditional B&W Film Photography and found her passion in taking pictures of people. With her strong drive, she focused on learning by taking internationally recognized professional photographer’s classes nationwide. She learned God has gifted her with a natural artistic eye and technical talent bringing her images full circle with her advanced retouching skills. With her persistence and the guidance of mentors, Sheri developed her own artistic style. Word spread quickly about her talents and soon she had a sizable clientele list based on referrals. Sheri Geoffreys Photography officially opened in September 2000. Many people, places and things have shaped her career. In photography specifically, Sheri is inspired by the works of Herb Ritts and Annie Leibovitz just to name a few. When photographing her clientele, she is inspired by many purpose driven business leaders who give back to the community and cultivate great corporate company cultures. Her passion for life is reflected in all she does. God has blessed her this true gift in her ability to bring out the uniqueness of her subjects for all to see and enjoy. She humbly is so grateful to do what she loves and can create happiness in this world through her work. The ability to see a great shot, set it up properly with lighting and have the timing to capture the natural expressions in people all comes naturally to Sheri. She is known to photograph in a whirlwind with little equipment at hand or in a peaceful setting with strobe lighting, etc.. All with ease. She is quick, makes people feel at ease and consistently creates amazing images. Her talent does not stop after the photo session is done, the editing room is another tool she uses to photo-retouch the final images. Her same ability to see what looks good comes naturally in her editing skills as well. Her knowledge with digital file usage for web, print and magazine uses is very helpful for her clients when they need support in these areas. all about. Capturing a library of images is very effective to be used throughout the web site and for marketing materials instead of purchasing more expensive stock photography. Coming to your offices and photographing in and around your office is typical. Even if your offices are very simple, you will be amazed of what Sheri comes up with on where to photograph at your location. Studio lights are brought to your site and used if needed. 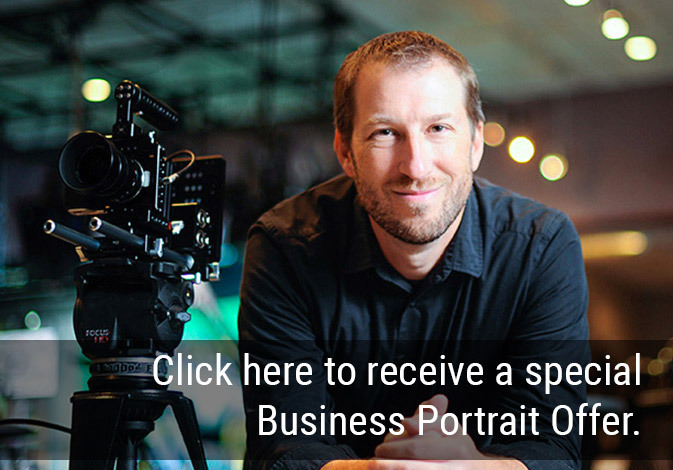 Photographing one head shot to one hundred head shots, group shots and corporate environment images all can be photographed at your location. It is typical to frequent companies on a monthly, quarterly or yearly basis to photograph new employees. Some clients have a virtual office or an office space that does not lend to a good backdrop for the shoot, in those cases, we are partnered with Encore Offices in Aliso Viejo, a modern new high rise with a beautiful conference room and building lobby that makes a great backdrop for your photo shoot if needed as well as a modern photography studio in Corona del Mar. Several of the portraits on my site are photographed at each location, including some of the images of her.